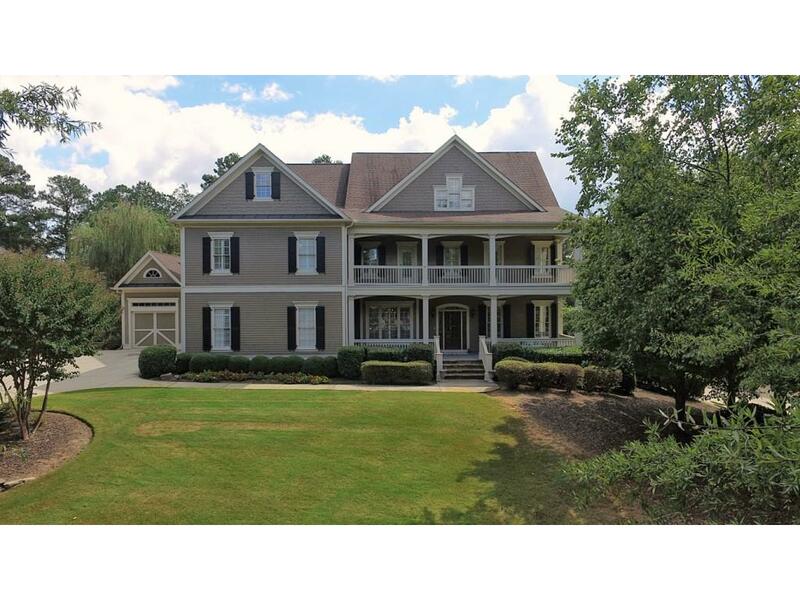 Fabulous Custom Estate-Southern Living at it's Best! Private Golf Course Views Offering Pool site w/Spa/Outdoor Kitchen/Fire pit & Extensive Landscaping! 2 story Family Room open to Gourmet Kitchen, Vaulted Keeping Room, Spacious Master/Spa Bath, Gentlemen Study on Main! Terrace Level Offers Over the top Theater Room, Chef's Kitchen, Steam Room, In-law Suite, Game Room & More! Shows Beyond a Model! Fresh paint, Newly refinished Hardwoods, "MUST SEE". Private Setting Poolside Paradise , gorgeous Stack Stone water Falls, and flowering gardens! One of the Best Buys in Chateau Élan! !